We continue with our study of Paul’s letters this week with 2 Corinthians 1. God powerfully touched my husband early this year, answering a long time prayer, giving him a strong desire to seek God and His Word daily, and live the life Jesus died to give him. As he’s been on fire for the Lord he has also been under attack. I have noticed through his affliction that God has been providing me with words of comfort from the comfort God has given me in the past through my afflictions. Often when we are under attack, we take our eyes off God and focus on our afflictions. Instead of receiving comfort from God and trusting Him to rescue us from the attack, we let the devil beat us down and keep us down. Paul encouraged Timothy in 2 Timothy 3:10-12 to continue in His walk with Christ, and continue doing God’s will despite persecution, “You, however, know all about my teaching, my way of life, my purpose, faith, patience, love, endurance, persecutions, sufferings—what kinds of things happened to me in Antioch, Iconium and Lystra, the persecutions I endured. Yet the Lord rescued me from all of them. In fact, everyone who wants to live a godly life in Christ Jesus will be persecuted” (NIV). God rescued Paul not from “some” persecutions, but from “ALL” the persecutions. Strong’s definition for persecution is “to make to run or flee, put to flight, drive away.” Persecution is opposition from the devil to try and prevent us from doing the will of God. The devil will oppose us when we follow Christ, but he has no power to stop God from accomplishing His will in our lives unless we give up and let him. When we continue walking with Christ through the persecution, God will deliver us and help us fulfill His plan for our lives. For we do not want you to be unaware, brethren, of our affliction which came to us in Asia, that we were burdened excessively, beyond our strength, so that we despaired even of life; indeed, we had the sentence of death within ourselves so that we would not trust in ourselves, but in God who raises the dead; who delivered us from so great a peril of death, and will deliver us, He on whom we have set our hope. And He will yet deliver us, you also joining in helping us through your prayers, so that thanks may be given by many persons on our behalf for the favor bestowed on us through the prayers of many. We need to pray for each other and remember that we are not alone in our afflictions. As Paul told Timothy, everyone who wants to live a godly life in Jesus will be persecuted. We are not suffering alone. The Bible says to “Be alert and of sober mind. Your enemy the devil prowls around like a roaring lion looking for someone to devour. Resist him, standing firm in the faith, because you know that the family of believers throughout the world is undergoing the same kind of sufferings. And the God of all grace, who called you to his eternal glory in Christ, after you have suffered a little while, will himself restore you and make you strong, firm and steadfast. To him be the power for ever and ever. Amen” (1 Peter 5:7-10, NIV). God wouldn’t allow the devil to persecute us if there wasn’t a purpose for it for our own good. Hebrews 5 below says that Jesus learned obedience by the things which He suffered. Through Jesus’ obedience, God highly exalted him, giving Him the name that is above every name (Philippians 2:9). Romans 8:17 says that we are heirs of God and co-heirs with Christ, if indeed we share in his sufferings in order that we may also share in his glory. Who in the days of his flesh, when he had offered up prayers and supplications with strong crying and tears unto him that was able to save him from death, and was heard in that he feared; Though he were a Son, yet learned he obedience by the things which he suffered; And being made perfect, he became the author of eternal salvation unto all them that obey him; Called of God an high priest after the order of Melchisedec. Look at the glory God brought through Paul’s suffering. We can only imagine how many lives have been brought to Christ through Paul’s obedience. I love what Paul says at the end of his letter to encourage us that God’s promises are always “Yes” to us who are in Christ. For our proud confidence is this: the testimony of our conscience, that in holiness and godly sincerity, not in fleshly wisdom but in the grace of God, we have conducted ourselves in the world, and especially toward you. For we write nothing else to you than what you read and understand, and I hope you will understand until the end; just as you also partially did understand us, that we are your reason to be proud as you also are ours, in the day of our Lord Jesus. In this confidence I intended at first to come to you, so that you might twice receive a blessing; that is, to pass your way into Macedonia, and again from Macedonia to come to you, and by you to be helped on my journey to Judea. Therefore, I was not vacillating when I intended to do this, was I? Or what I purpose, do I purpose according to the flesh, so that with me there will be yes, yes and no, no at the same time? But as God is faithful, our word to you is not yes and no. For the Son of God, Christ Jesus, who was preached among you by us—by me and Silvanus and Timothy—was not yes and no, but is yes in Him. For as many as are the promises of God, in Him they are yes; therefore also through Him is our Amen to the glory of God through us. Now He who establishes us with you in Christ and anointed us is God, who also sealed us and gave us the Spirit in our hearts as a pledge. But I call God as witness to my soul, that to spare you I did not come again to Corinth. Not that we lord it over your faith, but are workers with you for your joy; for in your faith you are standing firm. One of the attacks my husband is experiencing right now is a health issue. To stand against it, he has been meditating and renewing his mind on the promises God has in His Word about healing. God’s answer to him is not “no” or “maybe.” It is “Yes!” If you are suffering today, no matter what problem you have, know that God’s answer to you in Christ is “Yes!” Amen! Praise Him for His faithful promises! We praise You that all Your promises in Your Word are true. We praise You that through Jesus’ suffering, You restored us back to You and gave us salvation. Help us to keep our eyes on Jesus when we are persecuted and keep our trust in You to deliver us. Renew our minds in Your Word and fulfill Your promises in our lives. *This series will continue next week with 2 Corinthians 2. 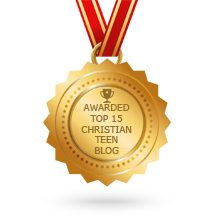 This entry was posted in A CLICK A BLESSING TODAY, CHRISTIAN FOUNDATIONS OF BELIEF, CHRISTIAN LIFE AND THE WORD, CHRISTIAN TAGALOG BLOGS, CHRISTIAN TEENS BLOGS, GOD'S PROMISE - JESUS CHRIST, SHARING STRUGGLES , Shaping Spiritual Solutions!, STRONGHOLD SMASHERS and tagged 2 Corinthians 1, Apostle Paul, blessings, deliverance, God, God's faithfulness, God's Glory, God's promises, Holy Spirit, Jesus Christ, Paul's letters, Persecution, sufferings, trials. Bookmark the permalink. Welcome back Amanda. Trust you are feeling refreshed. Praise The Lord, He is our Comforter and is with us through challenges and temptations from the enemy. The Lord is always with us. We can live in faith and victory. Amen.